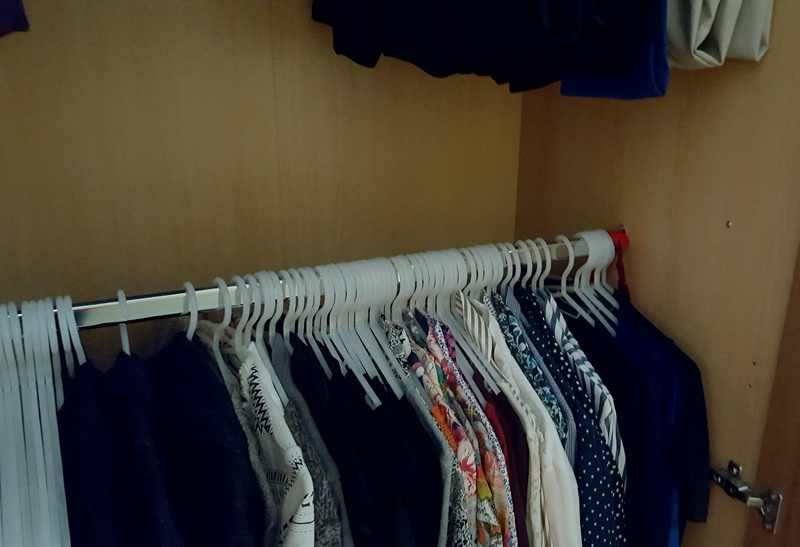 Recently, I decided to reorganise my wardrobe because it was starting to look chaotic. Also, I’m off on my adventures again soon, so a tidy wardrobe helps with packing. I tend to dress these looks up with bright, contemporary print scarves and I love jackets too (cloth and leather). Also, love wearing boots and have quite a few pairs. Occasionally, I will buy a bright flowery dress or blouse/shirt but I don’t wear this look much. I have learnt the art of folding the Marie Kondo way and it is fabulous for packing. Everything looks tidy and you can see what you have at a glance which is particularly useful if you are travelling and only staying at a place for a night or two. I’m going through the process of decluttering so this was a useful post! I have been trying for 3 years to declutter. I finally had to just box up things that the wife and mother-in-law never got around to getting rid of. Boxed up, and taken to the remote storage till they decide to do something with it all. I feel closed in when I have a lot of clutter. Hi and well done you for decluttering. I like following the same rules as you do and have pruned my clothes before and have just had a big session of going through my clothes and saying – Really? And, Why? I also follow Marie Kondo and fold all my clothes that aren’t hung up. Rolling when packing is also great.